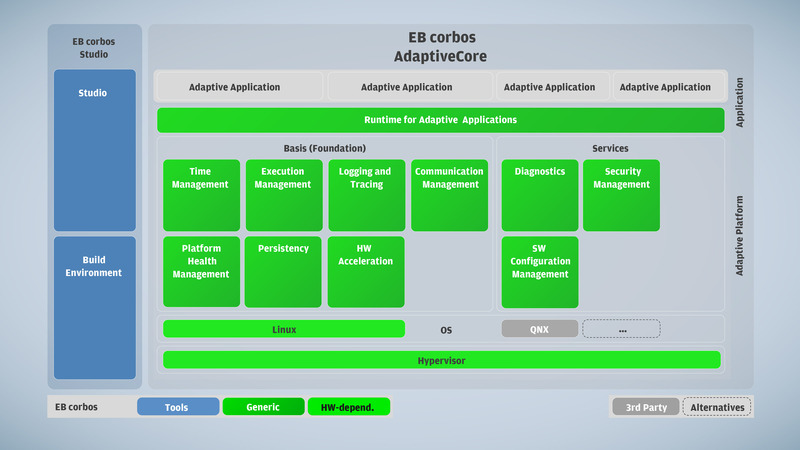 Develop your high performance controller (HPC) with our rich development tool on top of EB’s scalable software performance platform that supports various operating systems, virtualization, and Adaptive AUTOSAR middleware. Your entry into the automotive world of high performance computing. EB has more than 30 years of expertise in automotive software development. With its industry-leading software solutions up to the highest automotive safety integrity level (ASIL D), EB is a substantial element of the AUTOSAR success story. The performance platform provides the ingredients to create fail-operational software systems mandatory for automated driving up to level 5. Tap the potential of today’s processors by consolidating heterogeneous applications into one system on a chip. Availability of hardware virtualization is providing an optimized way to create virtual machines for your use case.